A bench headed by Chief Justice Rajan Gogoi rejected Yadav’s arguments that he has been in jail for 24 months, saying in comparison to the 14-year sentence awarded to him, 24 months was nothing. 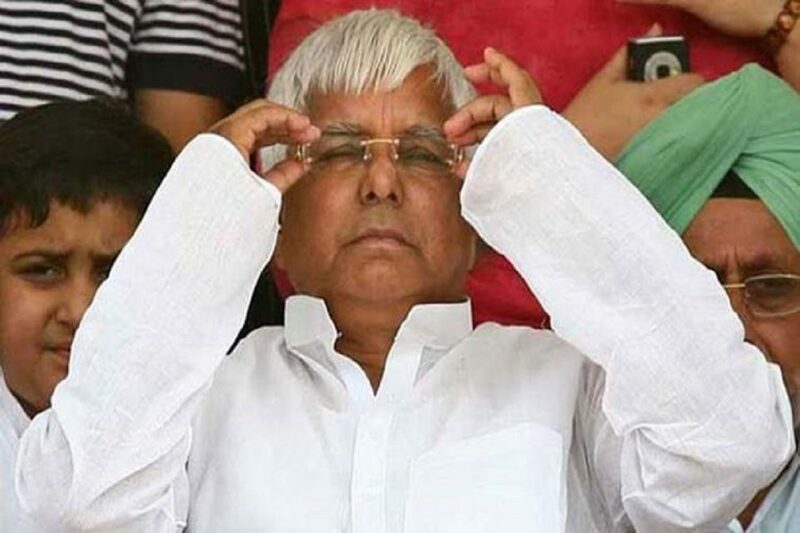 The Supreme Court Wednesday dismissed the bail plea of RJD chief Lalu Prasad Yadav in multi-crore fodder scam cases. A bench headed by Chief Justice of India Rajan Gogoi rejected Yadav’s arguments that he has been in jail for 24 months, saying in comparison to the 14-year sentence awarded to him, 24 months was nothing. The bench said merits of the case will be decided by the high court. “At present, we are only hearing the bail appeal,” it said. Senior advocate Kapil Sibal, appearing for Yadav, said there were no recoveries and no demand and the only major offence under which he was convicted was a conspiracy. The CBI had on Tuesday vehemently opposed the bail plea of Yadav in the apex court, saying the ailing leader suddenly claimed to be “fully fit” to undertake political activities in the upcoming Lok Sabha polls. The investigating agency alleged that Yadav has already been indulging in political activities for over eight months when he was admitted to a hospital citing health issues. “During the period in which the petitioner (Lalu Yadav) remained in hospital, he is not only granted a special paying ward with all facilities but he is virtually conducting his political activities from there which would be clear form the list of visitors,” the CBI said. The CBI also pointed out that Yadav, who claimed to be unwell and cannot even remain in jail, has now suddenly become physically fit and is seeking bail. The three cases in which Prasad has been convicted are related to the over-Rs 900-crore fodder scam, which pertains to fraudulent withdrawal of money from the treasuries in the Animal Husbandry department in the early 1990s when Jharkhand was part of Bihar.